New Directions Publishing Corporation, 9780811214407, 88pp. 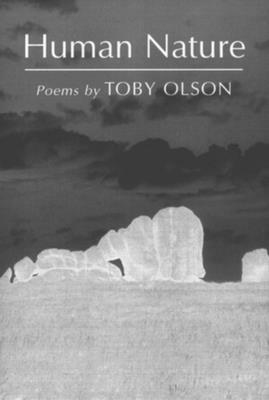 Human Nature is the poet and novelist Toby Olson's first book of new poetry since We Are the Fire (New Directions, 1984). The intervening years saw five of his novels published to strong critical acclaim".But", says Olson",one day I woke from fiction to discover I'd not written a poem in close to ten years. How to return to poetry after being away from it so long?" Certainly not in repetition of things done before. In Human Nature, Olson joins the novelist's art to the poet's reflections of friends and events and times gone by. When memory fades, replaced by story, the reader of these remarkable narrative meditations begins to realize the ways in which poetry might disclose different truths, born of the reinvention of experience. "In Human Nature", says Olson, "even the most autobiographical poems let fiction in".